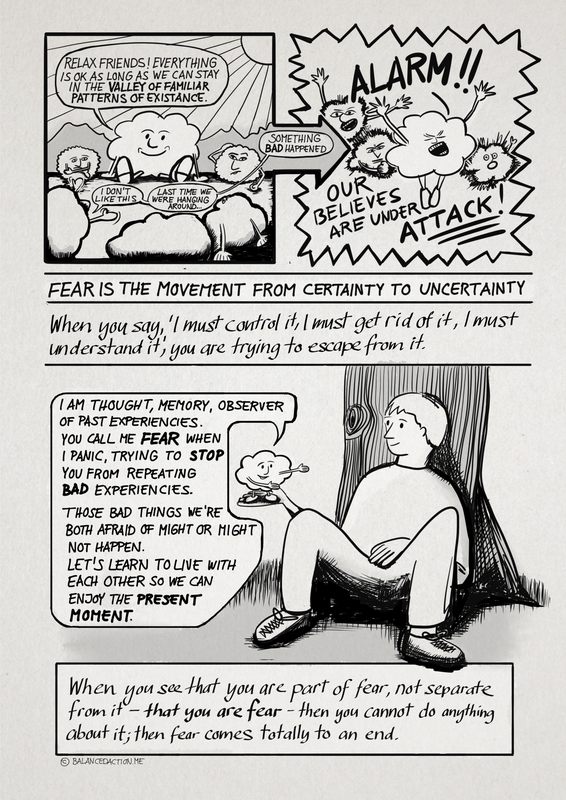 Here the complete sketchnote about fear, based on chapter 5 of “Freedom from the Known” by J. Krishnamurti. Fear is always old. It tries to keep us save by making sure, that we don’t repeat bad experiences. Fear does not like change and yet we all know that the only constant in our lives is change. No wonder we’re afraid most of the time. The only way to end fear is to realize that fear is part of us and we are part of fear. 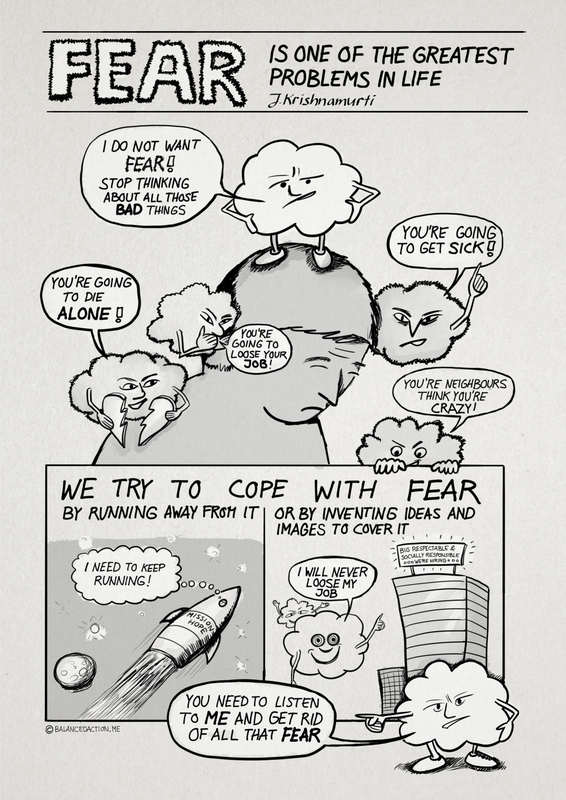 Fear disappears, if we manage to truly look it in the eye, understanding that fear itself is insubstantial. It’s what fear is pointing to, that we’re afraid of.